Everybody has these super fun felt letter boards on Instagram, posting cute little sayings on them and OMG I just want one so bad!! Don't you want one?! I started looking around and realized that many of them start at $100 and go up from there. They are available in just 3 colors: grey, black, and white. Maybe tan, sometimes. I figured surely you could DIY this. So I googled “DIY Felt Letter Board sign” and ONE tutorial came up. It shows how to make a DIY felt letter board with a laser cutter that costs a few thousand dollars. SERIOUSLY?! 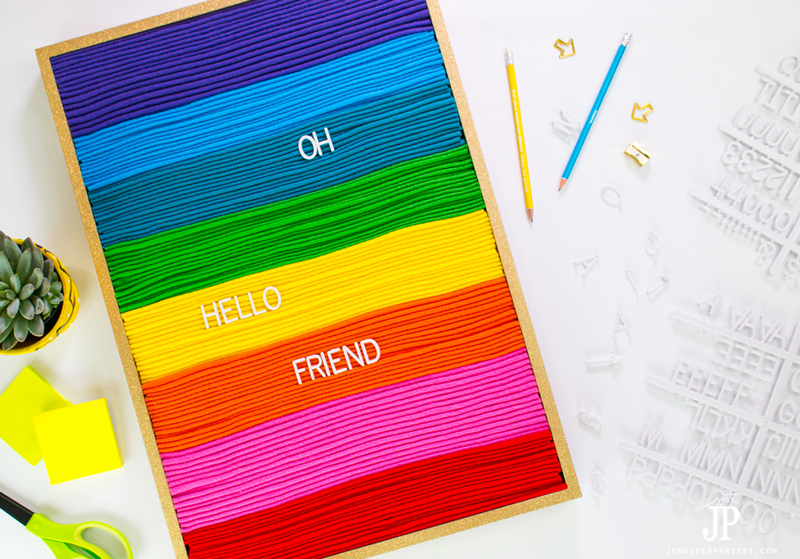 No one had done a DIY felt letter board tutorial that someone can ACTUALLY make?! 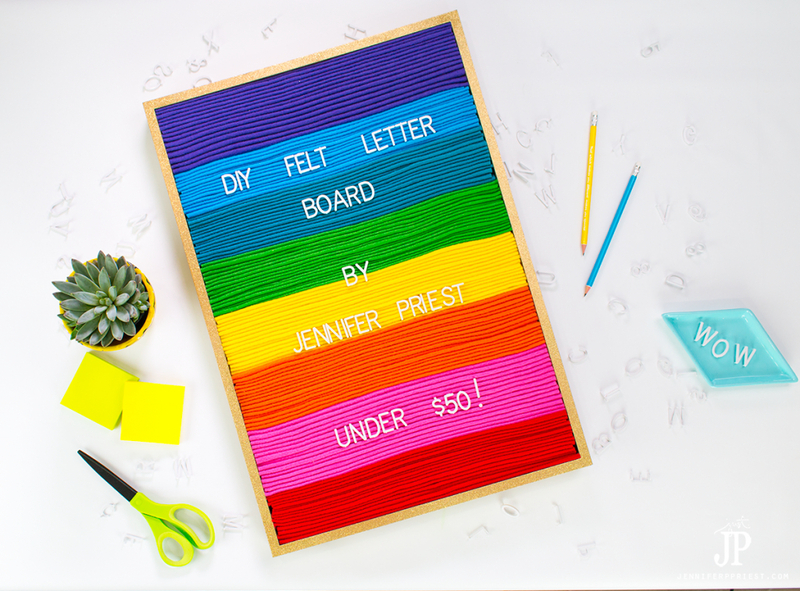 Friends, we are gonna make our own DIY Felt Letter Board! 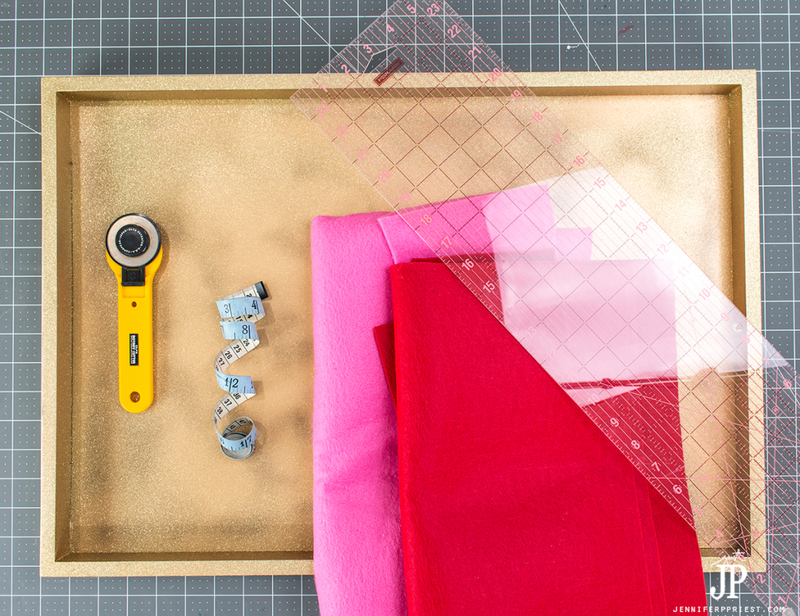 This DIY felt sign is cheap and you can make it yourself. Does it look exactly like the fancy pants felt sign boards you can get for $200? I'll be honest: no. It's not perfect. In 6 months, they'll be on to the next thing so why spend a ton of money on one of these? It was subway art and then pennant banners then marquee letters then those light up sign boxes, now it's felt letter boards and in another month it could be billboards in your living room or ceramic weinerdog coffee tables. Who knows? 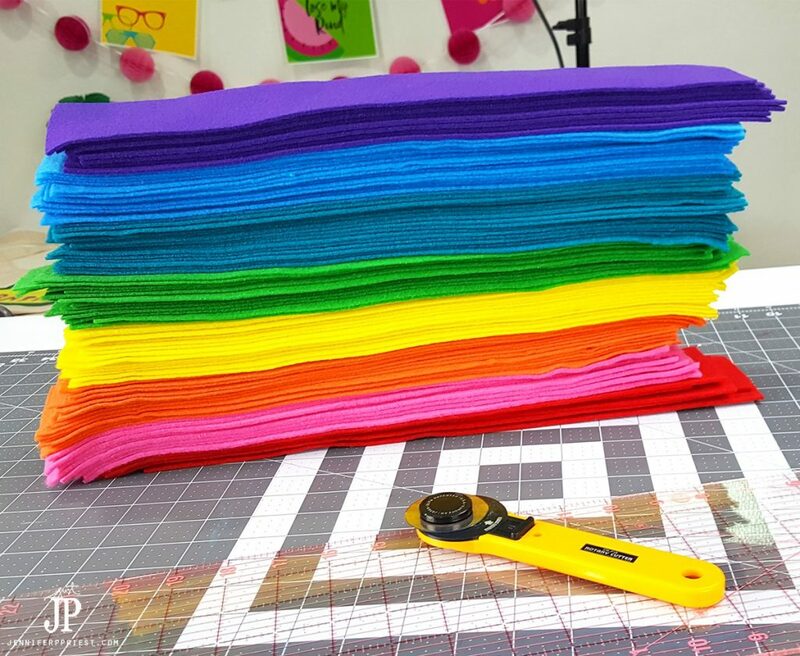 That is about 120 strips of felt that I cut for this project. We used MORE than that… at some point I lost count but I think it was 16 strips per color. You can cut however many strips you want. 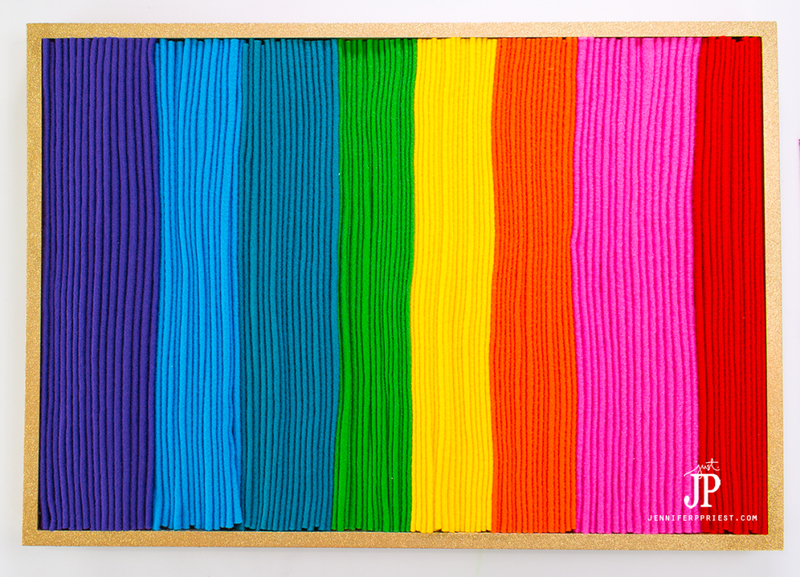 Do two colors, one color, make a rainbow like me or whatever; THIS is the beauty of making it yourself! I figured if I was gonna make this custom, let's go ALL OUT with gold, glitter, and rainbows. All I need now is a unicorn! The felt strips are wavy in this photo. Run your fingers or a ruler between the strips to straighten them out and then add the letters to create your own custom sign. Okay, let's talk about this frame for a minute. I recommend using the BACK of a canvas or you can use the back of an mdf art piece. This frame is actually a Batman themed wall art piece I got on clearance from Hobby Lobby for $10. The felt strips are sitting in the BACK of the frame! If you are really handy, you can build a frame from wood as well. Stretched art canvas can work if they don't have angled braces at the corners. Just look at the back of frames and canvases in the clearance section t find a shape and look you like. The felt strips are loose. You can glue the strips in place but I wanted to be able to change them out and rearrange them so I just shoved them all in the frame and they are held in by sheer force. I plan to change them out for Halloween colors in October, Christmas colors or candy cane colors in December, and so on. One frame, so many holidays! There is no outer frame holding the strips in from the front. Most of the felt letter boards I've seen have molding on the front sandwiching the felt between the molding and the back of the frame. You can add half round or other molding to the frame to finish it off and that would also cover any edges where the felt is just a little bit short. I skipped doing this. I hope you enjoyed this fun sign board project. You can make them any size and color you like. Will you make one? Let me know in the comments section! This is seriously the most amazing thing! I’m totally adding it to my crafts to-do list. The video was super helpful, thank you so much! Thank you so much!!! I want to see when you make it!!! 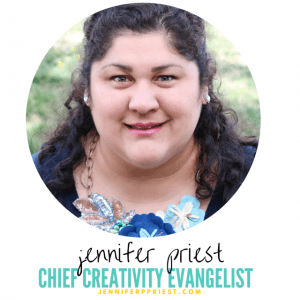 This is pretty brilliant, Jennifer!! 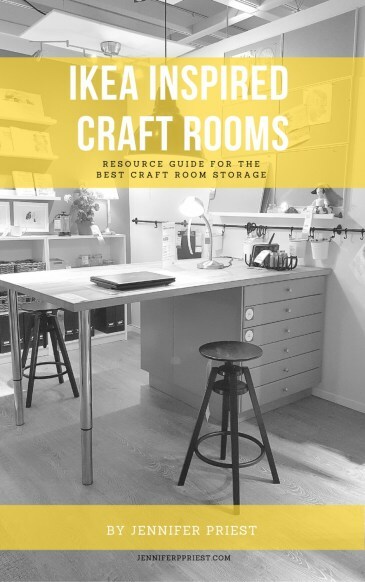 That might be harder… but yeah, you can make a ton of different boards for every season! Great idea! I could probably master this one! This is wonderful! What did you use for the frame? Thanks!! So smart Jennifer! 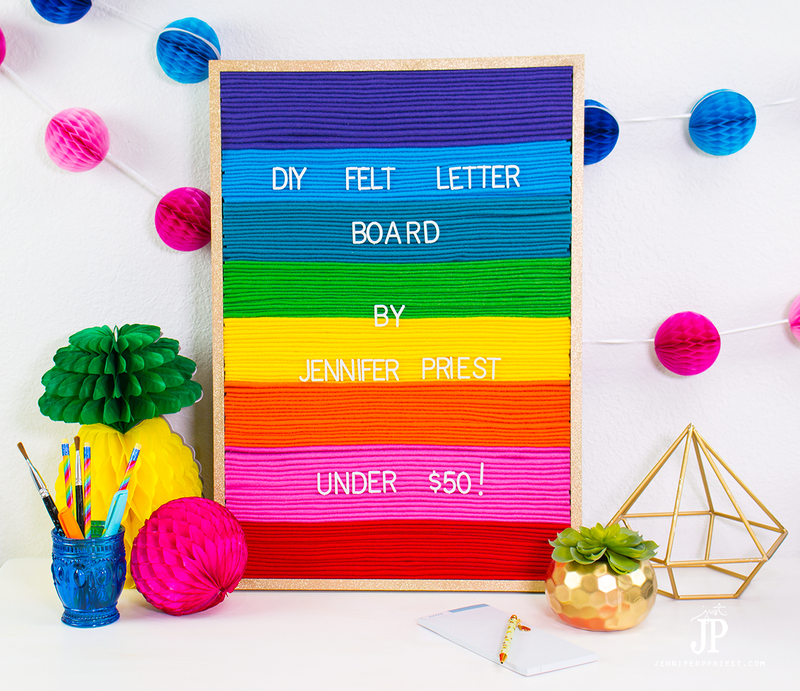 I see you made this a few years ago, but letter boards are still popular…they haven’t kicked the bucket yet 😉 I love the rainbow coloring, so cheerful!